This Package includes 3 visits with our Nutritionist - the Initial Consultation, Follow up Visit and Progress Visit, as detailed below. For best results, it is recommended to use within 6 weeks. The Initial Consultation is a comprehensive intake designed to get to know you, your health history, eating habits, work, lifestyle and ultimately find out what your health concerns and goals are. The information gathered during this initial meeting is carefully considered in order to create your detailed and customized Health Plan*. This second visit will present and implement your customized Health Plan which will include specific diet, supplement & lifestyle recommendations, a menu plan, helpful recipes, tips and relevant information. Unlimited email support is also offered up until the Progress Visit. This visit should ideally take place within 4-6 weeks of the Health Plan implementation in order to monitor your nutritional and wellness progress. During this visit, we will review, discuss and fine-tune your Health Plan to suit your changing diet and lifestyle needs. We may decide to make modifications as deemed appropriate. As my purpose is to support you every step of the way, our correspondence may continue via email to assure that you not only reach your health goals but that you maintain them. 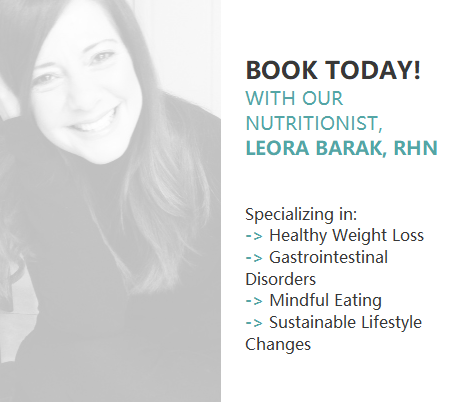 All Holistic Nutrition Services are provided by KIH's very own Registered Nutritionist, Leora Barak.